Eye: A hue of amber. Nose: A complex array of aromas. You will experience ripe fruits, and compote. There is also pear, peach, honey-tones, peach, fig and a bitter almond taste due to the rancio. This is followed by heady aromas of vanilla, rice powder, fresh tobacco and spicy cinnamon. Palate: It possesses a nutty rancio due to its fully mature properties. The taste is rich and mellow, and balanced beautifully. The aftertaste of liquorice and havana cigars is certainly present and well refined. 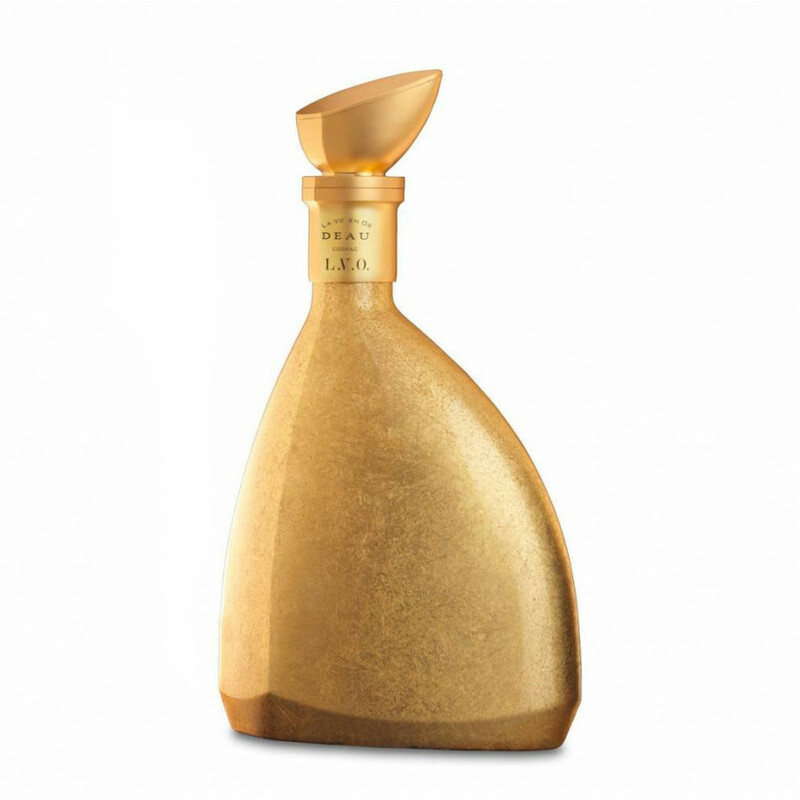 Presenting perhaps the most festive of this year’s Cognacs - the DEAU L.V.O. This Grande Champagne Cognac is one that oozes luxury from beginning to end; from its inception to the sealing of the bottle. 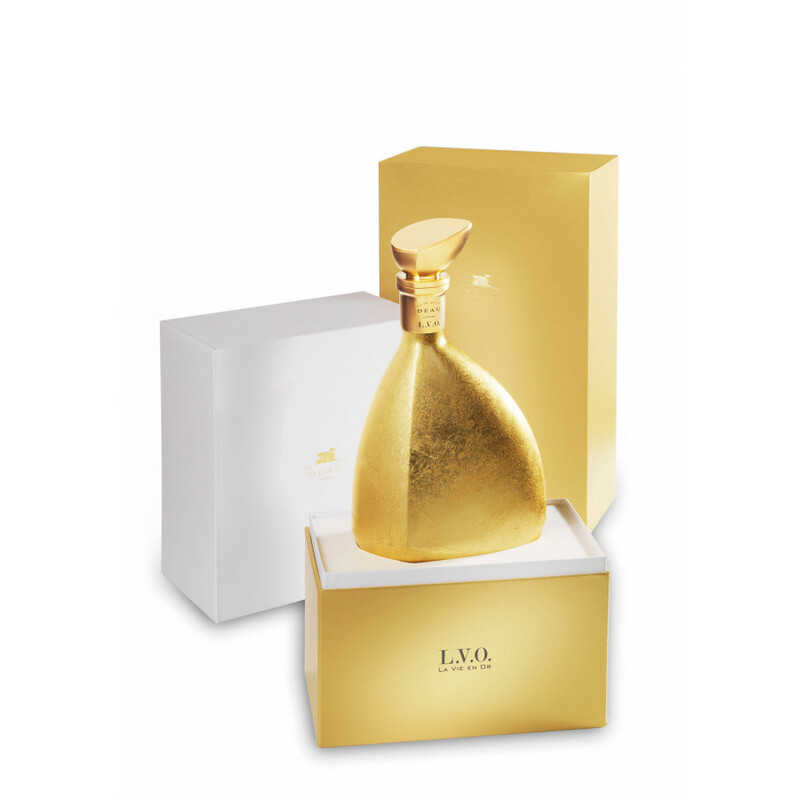 Its acronym stands for “La Vie en Or”, or “Life in Gold”, indicating that this is a blend with a truly precious nectar and gold-leaf embellishment. The Cognac is a handpicked selection of the rarest of eaux-de-vie from the Grande Champagne region. Housed and matured in its chalk cellars, it is the centurial fruit of Deau’s most exclusive stock. A truly noteworthy Cognac that has earned pride of place in the DEAU collection. It is sensual and full bodied in its aromas, and has been matured to its optimum. 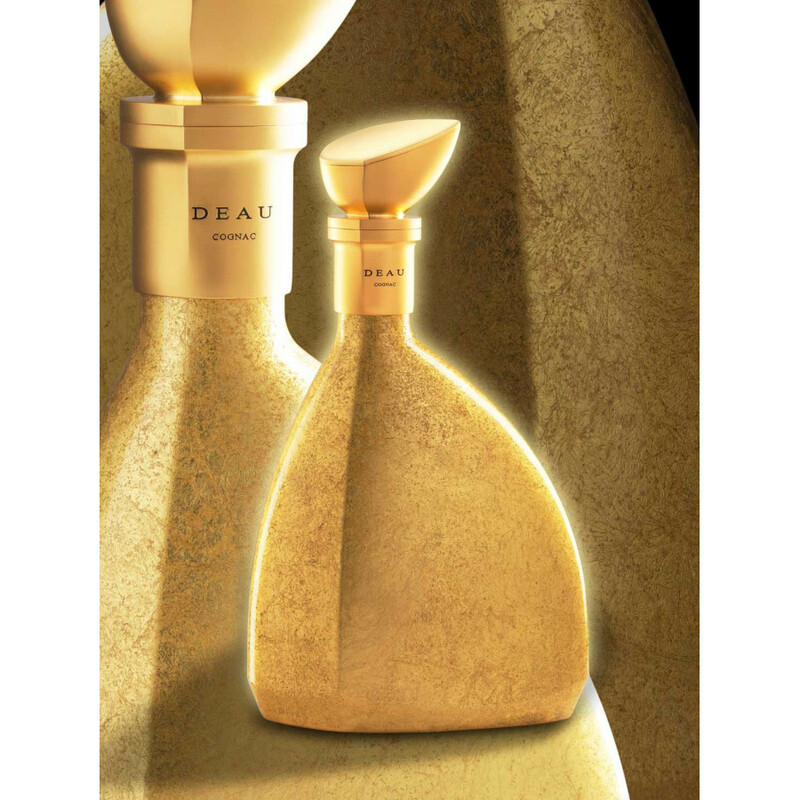 One of the most iconic features of this DEAU Cognac is its glamorous bottle, that doubles as a decanter. 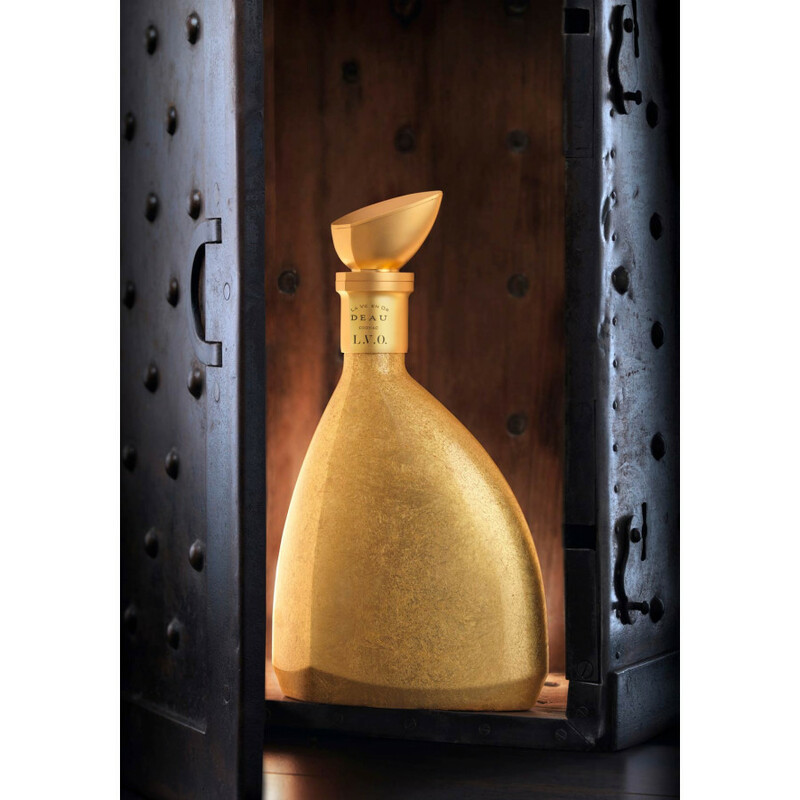 Hand-layered in pure 24 carat gold leaf, it exudes luxury and design prowess. The decanter was commissioned by one of the finest Parisian jewelers, Arthus Bertrand. Arriving in a sleek white box, it is a true collectors item to be placed with pride in your cabinet. Such a refined and elegant Premier Cru Cognac should be be enjoyed neat to bring its aromas to life, and is therefore one for true connoisseurs. Larsen Winter Blend is smooth and warm, and like all Larsen products is marked by intense fruit flavours. It has delicate flavours of ripe fruit ‒ baked apple, plum and marmalade and maturation in oak casks gives it warmer notes of toast and vanilla.